Prizes for Part 2 of the contest have been decided! #VisitMie PR Supporters have been selected! Japan’s Mie Prefecture has an amazing array of top attractions, from highly spiritual locations such as Ise Jingu Grand Shrine and the Kumano Kodo pilgrimage route, to the postcard-like scenery of Wedded Rocks and expansive views from Yokoyama Observatory and Gozaisho Ropeway. Plentiful opportunities to get out in nature keep outdoor enthusiasts happy, and the unique culture and history of the Ama divers and Iga ninja give visitors to Mie "once-in-your-lifetime" experiences. This autumn and winter, share your "once-in-your-lifetime" experiences of Mie on Instagram with hashtag #VisitMie for the chance to win some great prizes! Be sure to post during Part 1 or Part 2 of the contest to be eligible! Part 1 will run from September 26, 2018 through December 3, 2018. Part 2 will run from December 4, 2018 through March 3, 2019. Winners of Part 1 will be announced in late December. Winners of Part 2 will be announced in late March. The results will be posted on the official #VisitMie Instagram Contest website. Over 50 winners will be selected to receive a prize from among the products offered by our 15+ sponsors. In total, a value of over 1 million yen! Check back regularly so you don't miss any of the winner announcements! - Guests with food allergies or dietary restrictions should contact the hotel before their stay. Sponsor: Kintetsu Group Holdings Co.,Ltd. Winners will receive gifts expressing the "Taste" "Fun" and "Beauty" of Mie! With many locations in Mie Prefecture and a wide variety of Japanese merchandise available, Aeon is an excellent option for shoppers of all kinds. This deluxe gift package includes a variety of top local specialties from Mie. - Images are for illustrative purposes. High in nutrients, this top-quality dried seaweed is harvested locally, off the coast of Toshijima island in Iseshima. - Overseas delivery not available. - Sent together with Iwato Mochi. This signature confection of Ise consists of pounded mochi rice enveloping a creamy koshian red bean paste filling made from top-quality Hokkaido azuki beans, and dusted with kinako roasted soybean flour. It is famous for having a light, sophisticated taste. - Sent together with Cut Mehibi Seaweed. Seaside cafe Entrada Kashikojima is the perfect spot to relax with a meal in front of blue Ago Bay. This lunch ticket for two gets you a free lunch of seafood pasta or Japanese curry and rice along with a free drink. This gift certificate may be used anywhere in the Toba1bangai shopping center in Toba. - Valid for all purchases inside Toba1bangai. - Change is not given. Rivaling Kobe Beef in quality and flavor, Matsuzaka Beef is a luxury beef brand that every meat-lover should try. Shigure-ni is a beef stew flavored with ginger, soy sauce, and other ingredients. Set of 6 beers, including Hinotani Lager, Ninja Beer, and a seasonal beer. Hinotani Beer is made from the pure water of Hinotani Valley, and includes local ingredients for great-tasting beer that we are very proud of. This theme park is full of history on some of Japan's most famous characters, samurai and ninja! Visitors can enjoy ninja shows and plays, try to find their way through a ninja maze, relax in an onsen, and even experience a reproduction of Azuchi Castle, built by Oda Nobunaga. Enjoy superb panoramic views of the Pacific Ocean as you soak in this large onsen (hot spring bath). - Holidays are irregular; please call ahead to confirm availability. Reminiscent of the exotic atmosphere of a Spanish townscape and brimming with Spanish charm, the Shima Spain Village theme park features attractions, shows, restaurants, and shops people of all ages can enjoy. - Tickets cover park admission, all free shows, and all attractions. This cruise on Toba Bay will take you to Dolphin Island, where you can enjoy fun shows featuring dolphins and sea lions, and afterwards visit the observatory on the island's peak for unforgettable panoramic views of Toba Bay, Iseshima, and the Atsumi peninsula. Sponsor: Shima MarineLeisure Co., Ltd. These pair tickets get you admission to the famous Suzuka Circuit and rides at the Motopia amusement park. - Visitors coming by car will need to pay a parking fee. Todaya Hotel is situated on the Toba coastline and conveniently located within a 3 minute walk of the Kintetsu Toba railway station. The hotel also boasts magnificent sea views along with excellent facilities including a number of themed open-air baths. These baths can be enjoyed by all guests and the Yutei bath is even open 24 hours. With beautiful flowers all around in each of Japan's four seasons, Nabana-no-Sato Flower Garden is a fairytale-like land of color. At night be mesmerized by dazzling light displays that are sure to refresh and relax your mind. Sponsor: Nagashima Kanko Kaihatsu, Inc. This ticket lets you try the "Este" aesthetic salon treatment developed by organic cosmetics brand MiMC, and also the mineral mist sauna "Le Furo," which gained popularity in Kamakura and Nishi-Azabu, Tokyo. Finally, enjoy a snack by our in-house chef Mr. Tsujiguchi. Asiana Airlines provides two flights daily from Nagoya's Centrair Airport to Seoul. - Some restrictions on airline ticket period of validity and period of use apply. - Payment of taxes and fuel surcharge are required at time of ticket purchase. - In the case of fully booked flights and other circumstances, seats on your preferred flight are not guaranteed. Enjoy the deep blue of Ago Bay under the expansive sky as you ride aboard the Ago Bay Water Taxi from Kashikojima station to Shima Mediterranean Village. Feel the wind in your face as the forested island landscape opens before you, all for a new perspective on southern Mie Prefecture. - Please call ahead to make reservations. As you ride the Gozaisho Ropeway Gondola, enjoy breathtaking views throughout the seasons, and the huge, unusual rock formations stretching out beneath you. The landscape changes dramatically with the seasons and each has its own unique beauty, but the brilliant reds, golds, and greens of autumn make it an especially popular time to visit. This red-and-white plushie doll is a daruma in the shape of a musical note (onpu), and will deliver your wishes to Japan's kami gods wherever you happen to be. A cute gift for a special someone or as a remembrance of your travels to Ise. - Sent together with Iga "Kumihimo" Braided Cord. The city of Iga is famous for braided cords called "kumihimo," designated a traditional craft. This brightly colored keychain strap combines kumihimo with another of Mie's specialties, an Akoya pearl, for a unique gift or keepsake that can be attached to a phone case, bag, backpack, or other personal item. - The color of the pearl or braided cord cannot be selected. - Sent together with Onpu Daruma Plushie. 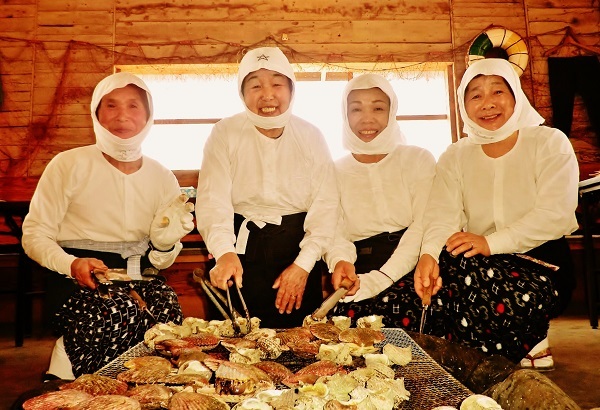 On this 50-minute cruise on Ago Bay, a location long important to Japan's pearl industry, you'll be able to enjoy the beautiful scenery of the ria coastline, where the green of the trees blends harmoniously with the deep blue of the water. Kashikojima, one of the many islands in Ago Bay, was the location for the G7 Summit in 2016. Full face masks made of beauty lotion added to 100% cotton sheets. Several kinds of ingredients derived from pearls provide moisturizing benefits for youthful-looking skin. Please note that prizes may not match the photos, and the contest operator reserves the right to change the prizes awarded. Contestants must agree to the contest Terms & Conditions. Entry photos may be used for promotion by Mie Prefecture. Visit Mie Prefecture, and take photos of places, events, food, etc., that you thought were special, once-in-your-lifetime moments! Photos you took on past trips to Mie Prefecture are of course OK! Share one or more photos of Mie Prefecture with the hashtag #VisitMie ! 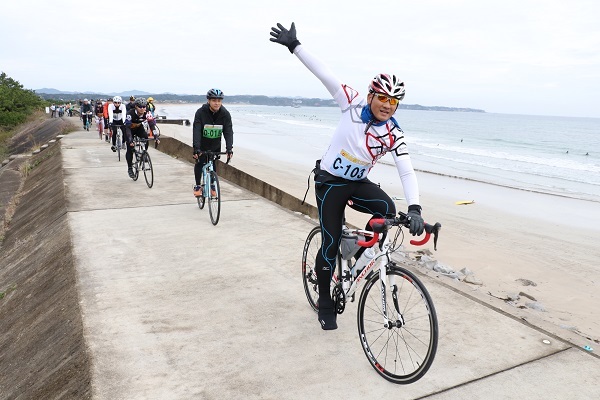 Winning entries will be selected through an impartial, fair review process by selection committee members based on how well they communicate the appeal of tourism in Mie Prefecture. Winners will be notified by direct message to their Instagram accounts. Winners must be following the official @VisitMie account. Winners must reply within 48 hours; otherwise they forfeit their right to claim their prize. Entry images may be used in official Mie Prefecture websites, social media, posters, flyers, etc. During Part 1 or Part 2 of the #VisitMie Instagram Contest, LIKE one of our posts to be entered automatically in a free giveaway, with special Mie gift sets given randomly to 10 lucky winners! This gift package includes a variety of local specialties from Mie. “LIKE” one of the photos posted on the @VisitMie official Instagram account during the contest period. Discounts at close to 700 business in Mie! Pick up the Mie Shoku-Tabi Passport at tourist information centers in Mie Prefecture, and simply show at any of nearly 700 restaurants, shops and other businesses in Mie for great discounts and bonus gifts! In addition to savings on your dining and travel, you can also use the Mie Shoku-Tabi Passport to collect stamps throughout the prefecture. Collect two or more stamps and enter a sweepstakes for a chance to win a special Mie prize. The more stamps you collect, the bigger the prize you can win! Please read these Terms and Conditions before submitting entries to this campaign. All contestants, by submitting entries, are considered to have agreed to these Terms and Conditions. Individuals may submit as many entries to the contest as they wish. Entry images and video posted with the hashtag #VisitMie may be used in official Mie Prefecture websites, social media, posters, flyers, etc. If posting a photo or video with a person in it, please ensure that you have the person’s consent to do so. Mie Prefecture and the Contest Operator assume no responsibility whatsoever for any issues related to portrait rights or rights of likeness. No objections shall be made regarding the operation of this campaign or the winning entry selection process. Simultaneous entry or entries can be made to the concurrent Mie Prefecture Like-to-Win Giveaway. #VisitMie PR Supporters and applicants may also participate in this campaign. Do not post any of the following types of content. If the Contest Operator determines that your post falls into any of these categories, it may be excluded from consideration. Content posted using an account that impersonates another person or company/organization using their name, etc. Winning entries or prizes may not be transferred or exchanged for cash. Simultaneous entry or entries can be made to the concurrent #VisitMie Instagram Contest. This campaign uses Instagram. Mie Prefecture and the Campaign Operator are not responsible for any damages caused by the suspension or cancellation of this campaign due to the Instagram or related apps. Entrants are responsible for any applicable data transfer or internet connection fees. Depending on your device model, usage, and connection environment, in some cases it may not be possible to submit an entry. In principle, the Campaign Operator cannot answer any questions about the use of Instagram or device settings. This campaign may be modified or cancelled without prior notice. Thank you for your understanding. Any personal information you provide to us will only be used for sending your prize. Purpose: To widely promote Mie Prefecture tourism information to an overseas audience in foreign languages (English, Chinese, Thai), using Instagram as a form of promotional media. Posting Entity: This account is run by Mie Prefecture Tourism Division staff, under the direction of Inbound Tourism Department staff. Comments Policy: In principle we do not reply to comments, but when possible we try to answer questions, etc. Comments we judge to be inflammatory or inappropriate in any way may be removed without prior notice. About Posted Content: Posted content will be information and images relating to tourism in Mie Prefecture. About Copyright: The copyright for submitted comments is retained by the user who posted the relevant comment(s), however, permission to use the posted comment(s) non-exclusively and on a royalty-free basis shall be granted to Mie Prefecture, and the user agrees not to exercise his or her copyright over the comments against the Mie Prefecture Inbound Tourism Department. Cessation of Account Activity or Account Deletion: If it is determined that posting to Instagram is no longer practical, this will be announced on the Mie Prefecture website, and the Mie Prefecture official Instagram account will be deleted or account activity ceased. Responses to inquiries we receive will be made first-come, first-serve, on weekdays 10:00 AM to 5:00 PM JST during the campaign period. Please understand that certain inquiries may take longer to respond to than others. ©Mie Prefecture, All rights reserved.